We are glad to inform the authors who made a reservation requirement at hotel Hemus-Sofia, the conference venue, or prepare to execute this step: it is possible to make the booking with a smaller or larger discount depending on the room type. Actually, you could use this link up to August 11, but if you will execute this procedure in July, you will help our negotiations with the hotel on the discounted options. The good news is that the main part of the hotel is just renovated. Its location is splendid, it is just at the Mall, park zone, near the Natural Science museum, and National Palace of Culture (NDK) and just at the subway station ‘European Union’ (ES in Bulgarian) where you can go directly from Sofia airport (Terminal 2). Actually, the guests may go to every subway station just from the airport, but please note, that Sofia subway lines make a loop after the center, and you may travel about 25 minutes more because of this loop. Warning: The Hemus hotel link could be used only for information purposes. If you make the reservation there, there will be no discount. Even if they promise some discount. We are trying to help our authors, and by the end of June there will be a new link here for the following reservations. 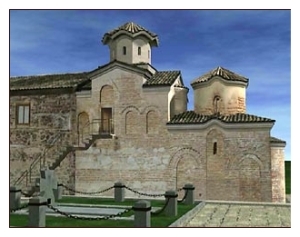 The capital of Bulgaria is located in the western part of the country at the foot of Mountain Vitosha. It is the 12th largest city by population in the EU. 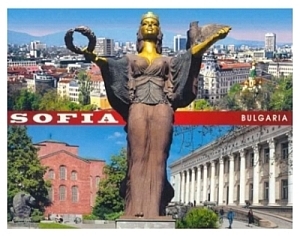 Many of the major universities, institutions, and businesses of Bulgaria are concentrated in Sofia. It is also a center of public and political life, cultural events and media, as well as research institutes. Sofia offers numerous sightseeing places and tourist attractions: gorgeous rich museums, beautiful medieval churches and art galleries, as well as many night clubs and pubs. Sofia is the candidate for European Capital of Culture in 2019.